It was International Dance Day yesterday. Keep meaning to make something of it but we’re all so busy! Maybe next year! Music Month takes the focus – poor old dance is way behind! I remember in the ’70’s when popular NZ music and dance were at a similar stage of public awareness – but music got a hold of the new technology, recordings and music videos were made and popular music took off! Dance didn’t/couldn’t make use of that technology for many reasons and over the years as music has become ubiquitous in our lives, dance is a quiet second cousin. But I’m always optimistic and keep believing that dance is part of the essence of being human and has its place! Pilobolus last night – touched on a bit of that essence. The third piece ‘Gnomen’ in the first half had us spellbound. It seemed to be about humanity and its potential to be uplifting and rise above the basics. It finished on a redemptive note which was beautiful. It took off half way through, the music soared and it was gorgeous to watch ( which dance should be in my view) as the men danced slow motion, lifting and carrying each other with amazing strength and virtuosity. And what beautiful bare torsos! It was dedicated to a memory of someone and i was interested to note one of the sponsrs was Philip Morris Companies! Was’nt sure the bare breasts in the last work were really necessary – tho they were beautiful breasts – damned if i can hardly remember anything but the breasts! The curtain call was fantastic, they slid across the stage waving to us on their bare bottoms on wet dance floor! 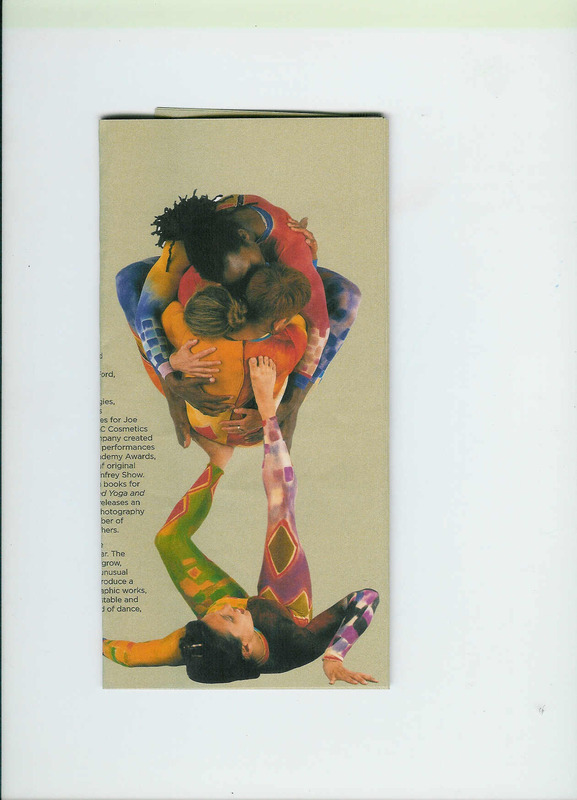 I remember that Pilobolus’ curtain calls were always a highlight! They’ve been going for 38 years and I saw them in the early ’80’s somewhere in the Northern Hemisphere (perhaps it was Paris?) but out of the 4 works in the programme the older works still work best I thought! The party was fun afterwards, talked to Tai and Taane about their trip to perform in the States recently. Sounded like they had a great time and were really well received – I should think so! They performed a new work by Michael Parmenter – ‘Hand to Hand’ – which will be included in their premiere performances of their new company ‘Okareka’ in October 08 – Dance October!!. We’re all really looking forward to that. Also it seems like there are quite a few senior dancers with lots to offer coming back or moving to Auckland – which is great. Recently had lunch with Mia Mason, a little dynamo of a dancer who danced for Douglas Wright in the early ’90’s then moved to Oz to dance with Adelaide Dance Theatre. After an exemplary career over there dancing then in admin, she’s now back, working in admin at The Edge and looking for opportunities to make work, great to have her back! And Geordan Wilcox from the NZBallet is in Ak now – I think he’s doing a Masters in Performing Arts at the University of Auckland – fab.